Have you ever come across a product that you have loved as soon as you have set eyes on it? It isn’t something that happens very often to me but just recently it has and today I am going to share with you my love for one product. 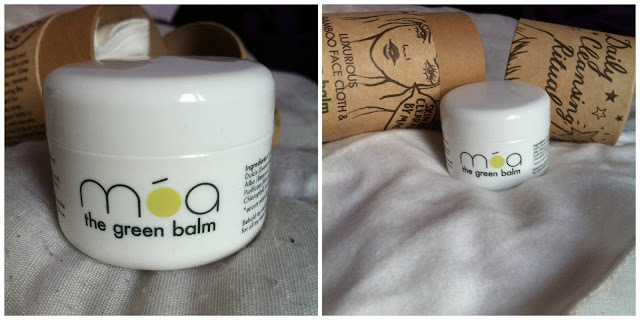 Arriving in a cardboard tube, which is stunning to look at and something that immediately grabs your attention, I introduce you to Móa The Green Balm 50ml and Luxurious Bamboo Face Cloth. I simply adore this packaging, not only does it tell you everything you need to know about what is inside, it is just so different to everything else on my shelf and is so unique I cant help but smile when I see it. Moa is described like this, “It might not have been made by witches or wizards, but hidden inside each tube of Móa’s new ‘Daily Cleansing Ritual’ is a balm that magically helps to remove even the most stubborn of makeup, clears up acne, nourishes dry skin and removes impurities to leave the skin balanced and glowing…”. Perfect right? Well I thought so and as soon as you open the tube, inside you are greeted with the softest cloth I have ever come across, I simply wanted to curl up and just stroke it, it is that soft. Made of Bamboo Fibre, this cloth is naturally anti-bacterial and is one of the planets more eco materials and because it is so soft, on your face it feel like heaven. Soy bean oil which is an anti-oxidant that helps to restore and balance, Beeswax which helps to protect the skin without clogging pores. 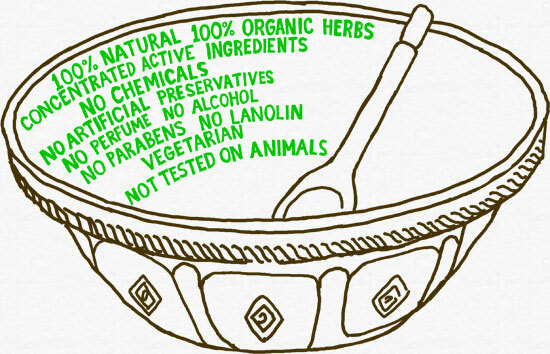 Naturally there are many more ingredients that you might want to look at and you can find them all listed HERE on the Móa website. 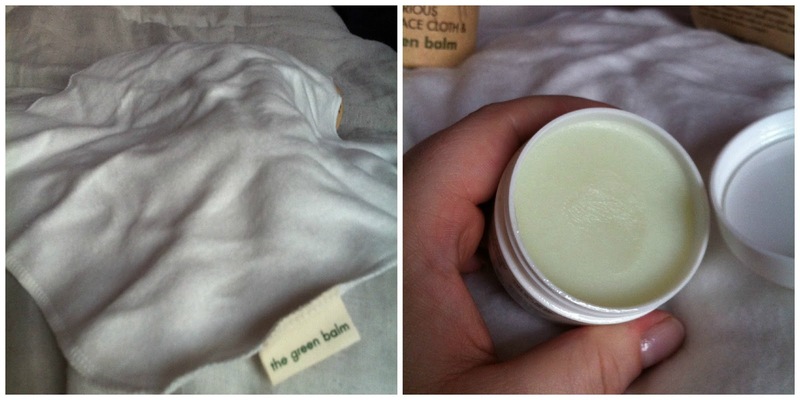 Take some green balm and melt it between your fingertips to create an oil. your face Smear the oil over your eye makeup, smudging it away from the eyes. Massage your face with a little more balm to encourage better lymph circulation and tone the facial muscles. Dip cloth in hot water (not too hot), wring it out, and press it to your face; steaming away the oil and impurities, whilst sealing in the essential oil goodness. Finish by dipping your cloth in cold water, and press the super-soft side to your face; to tone and close the pores…magic! As you can see from the photos, the balm inside the tub is fairly solid, as soon as your fingers touch it, it begins to melt and it has a Vaseline type feel to it as it does begin to melt. This helps to make it much easier to apply to your face. As you apply to you face you can really smell the tea tree oil and as it absorbs itself into your skin, I was surprised to find my skin didn’t look oily at all, left behind was everything on my face make-up wise that had been lifted up from my skin and smudged across my face (not attractive) and impressively my mascara ‘They’re Real’ was also removed and for those who wear it, you will appreciate how tough it can be to do that! Infact it removes all traces of make-up and also manages to find some dirt and grime to remove from your face too, giving your skin a very good cleansing treatment. As I applied this to my face, in my bathroom sink, I had already run the hot tap to ensure there was hot water ready for the cloth to be dipped in. I shoved the whole cloth into the water and then wrung it out so it wasn’t dripping wet, and then held it to my face so the steam could work with the balm to draw out the all the impurities from my skin. Then, as you more the cloth from your face, you need to this time wring the cloth out again and repeat the actions above, but this time using cold water. I used really cold water and then using the softest side of the cloth, pressed it to my face which is absolute heaven, I would pay someone to do this too me it is so relaxing and the reason you do this is because it helps to tone and then close the pores on your face, locking in all the goodness of the oil. After using this balm, my face was so soft to the touch it was wonderful and if you are a fan of products which are hot cloth cleansers like me, then I have no doubt that you will not only like this product, you will, like me, love it. Having used it for the last weeks in a row continuously, I have noticed that my oily t-zone is hardly noticeable, not something I have been able to say for quite a while now and I love the feeling of not having to constantly worry my face might look a bit greasy, especially now we have a change in temperature, something which always affects my skin. I wouldn’t hesitate to keep on purchasing this product it is so lovely and the cloth, which I also adore is really easy to wash, just bung it in your washing machine and then let it dry naturally and it is as good as new, hopefully one day we will be able to purchase extra cloths which I feel is needed for something you use on a daily basis. You can purchase this product for £14.99 and again you can find more information about it HERE. I got some in a GlossyBox last year and LOVED it! I love the tube it comes in, gorgeous! 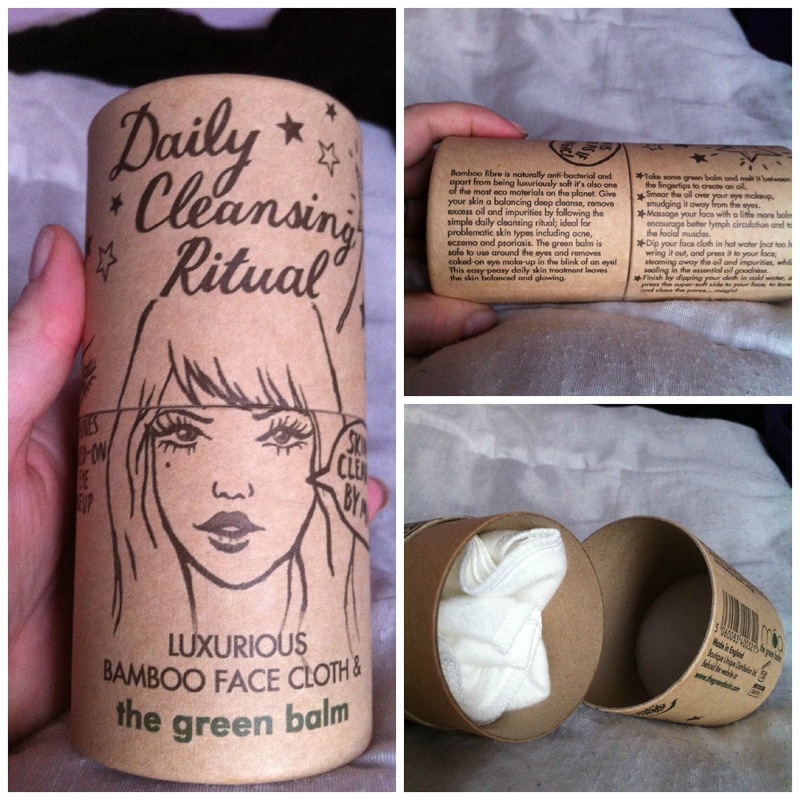 I have really been enjoying cleansing balms lately, this looks like a really nice one! I've wanted to try this for agaes but never had, the packaging looks awesome in full size!